Whistling Woman: Fact or Fiction? Fact: Papa did shoot a man and bring his dead body home, placing it on the kitchen table. Fiction: Mr. Fore’s name. We couldn’t find out who the man was that Papa actually shot at the train station, running down the tracks. Fact: Papa took prisoners and dead bodies of prisoners to Marshall, the county seat, in a horse-drawn wagon. Later, Aunt Belle comes to visit and tries to convince Mama that Papa has cursed the house by bringing a dead man home and encourages her to have Miss Cordy cleanse the house. 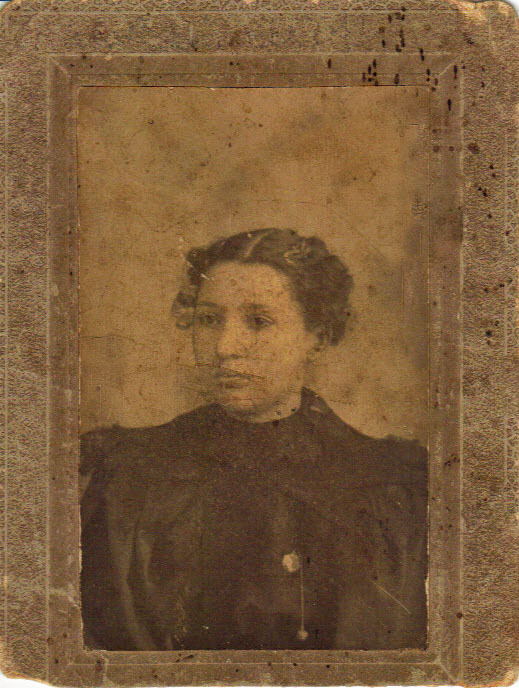 Fact: Aunt Belle is an actual person, Lucinda’s sister Elizabeth, three years younger, who married a Candler. Candler, NC is named for this family. Ficton(? ): Aunt Belle’s personality. We had no one to talk to to ascertain the type of person Aunt Belle was. I think Cyndi did a great job developing her persona and describing the way she dressed. Fact: Green, Bessie’s little brother, was named for the blacksmith who took Papa in as a striker during the Civil War when Papa was a boy and his mother and sister were forced to go to a women’s home in Greenville, SC after losing the family farm. Fact: The description of houses in this chapter built by Papa were taken from written descriptions by Bessie. Fact: Miss Cordy was an actual person. Fiction(? ): We gave Miss Cordy a mystical quality although we do not know if she actually had that ability. From the stories Daddy tells us, she was a sweet, gentle soul with a big heart. 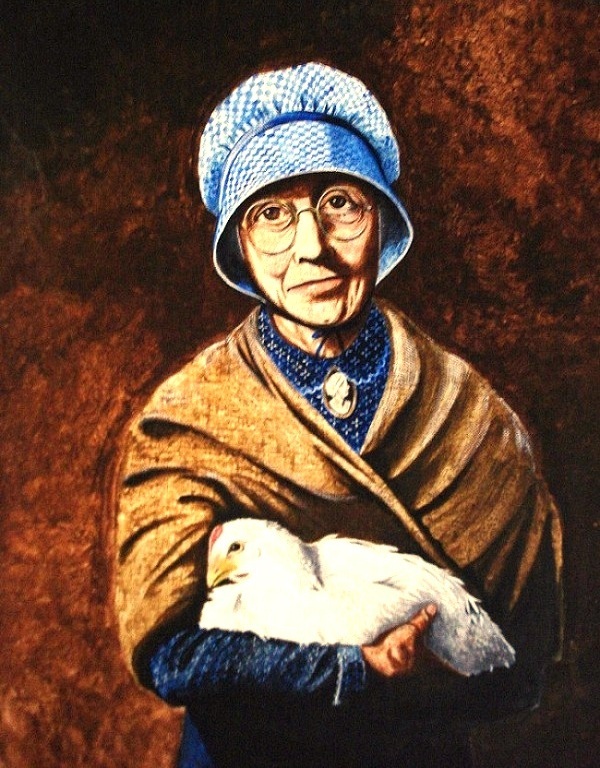 One of the saddest true stories is Miss Cordy and her pet hen. Fact: Parents did try to instill fear in their children by threatening them with the Melungeon boogie-man if they didn’t behave. We wanted to introduce at this point the prejudice at that time against the Melungeons. Miss Cordy’s story broke my heart! I’m a big animal lover, and fell in love with the wise and mysterious Miss Cordy too! I caught myself wishing that I could have been there to slap that silly preacher!!! I agree, Kim. Of all the stories Daddy told us, this is one that keeps coming back to me. I don’t know where she found the strength to do it. Poor woman. Loved this book. Want a mother like it . Any sugestiions. Kay, thank you so much! We are glad you enjoyed Whistling Woman. We hope to have the sequel, Moonfixer, out by late fall. I’m not sure about books that are like it – it’s been compared to To Kill a Mockingbird and the Laura Ingalls Wilder Little House series as well as Christy. Cyndi, do you have any suggestions? I’ll add my thanks to Christy’s, Kay. As she said, we’re so glad you enjoyed Whistling Woman! Christy, I can’t think of any others except maybe Wilma Dykeman’s The Tall Woman (I’m not even sure if that’s the title. It’s been a long time since I read it but I know it’s in the same general time frame, has a strong female protagonist, and it takes place in the Appalachian Mountains.). Oh, and there’s Dorrie, Woman of the Mountains by Florence Cope Bush. I didn’t like that one as much but again, it takes place in the Appalachian Mountains and has a strong female main character, plus I learned quite a bit about the lumber industry from reading it. Hope that helps, Kay! If I think of any others, I’ll come back and add them. Loved the story. It brought tears to my eyes in a couple of chapters. Is the next book “.Moonfixer” out yet ? I am chomping at the bit to find out the next adventure Bessie will face. Thank you so much, Kathleen, for your very kind comments. So glad you loved Bessie’s story. We hope to have Moonfixer released by late fall. We’ll be sure to notify you once it’s available. So glad you’re looking forward to reading it! « Friday: Fact or Fiction?